This is a book project that I have been working on for some years . . . In the life of Joshua, we find a well-regarded model of leadership, courage and excellence. He rises as the leader of the people into the Promised Land, the leader of the march around Jericho, the transitional leader from one generation to the next. However, in looking at the success of the leader, we cannot forego the life and formation of the leader. 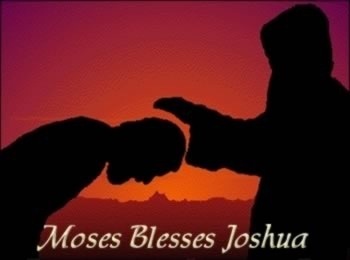 Before we ever meet Joshua in the book of the Bible that carries his name, we have to first walk with him from Exodus, through Numbers and culminate in the Moses, Martin Luther King mountain top speech in Exodus. It is in these pages that we see that his path from servant-follower to called and appointed servant-leader. Leadership is about relationships. In other words, with leadership there have to be at least two participants – the leader and the follower. Therefore, one thing to observe and explore during this series is the relationship between the people in the narratives. Once completed, this book will explore the relationship between Moses, Joshua and the community as a model for formation of intergenerational leadership.